Ex-council houses or ex-local authority properties have got a bit of a bad reputation among would be homebuyers, but in the end it all comes down to personal preference. Each local-authority property is different and it is up to you to judge the area and decide whether it is a good investment or not. Jane and Steven had been looking to buy in Leeds for some time but were finding that all of flats they were looking at either didn’t have enough space or were not in a desirable location. “We had been searching high and low for our perfect flat but to no avail. Then one day our estate agent telephoned us and informed us of an ex-local authority property that was on the market. Initially we turned up our noses and said it wasn’t for us, but he prompted us to at least give it a look,” says Jane. Ex-local authority houses are generally a lot better value for money than normal properties; they can offer more room, and a good location. A lot of ex-council estates are starting to slowly fill up with first-time buyers eager to get on the property ladder any way they can. “When we went to visit the flat we were pleasantly surprised, we had built up images of tower blocks in our minds, so to see a small cluster of flats was actually quite refreshing,” says Jane. “The estate that the ex-council flat on was not bad at all. The row of ex-council houses were facing a group of houses that were newly built, so our view out of the front of the flat would be quite pleasant. And although the flat was in a smallish block of other flats, it did not leap out to us as looking like a council owned property,” explains Jane. “The flat was a lot less than all of the flats we had been looking at and it was a lot bigger, after much deliberation we decided that we would be able to picture ourselves living there, so we made an offer,” she says. 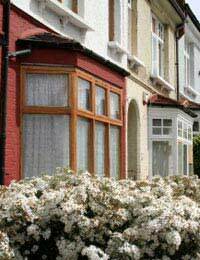 Beware, ex-council houses are not always hidden gems, there are a few golden rules to look out for when buying ex-council. “The estate agent told us that while we would be able to get a mortgage for our ex-council house, the lender might not be as willing to lend to us as they would for a normal property. This was because of the stigma attached to these types of properties and sometimes people found them quite hard to sell on," explains Jane. In their case though the mortgage process was quite smooth, mainly because the property was in a good location and there were other properties surrounding it that had also been ex-council. Other reason lenders might be reluctant to give you a mortgage is because ex-council houses do not generally go up as much in price compared to normal houses. “We had our offer accepted and we were ready to move in to their property. We were told that a few things we may want to check out beforehand would be who owned the block of flats and what their policy was on renovations etc. We spoke to the agent that looked after the block of flats and he reassured us that we would not be getting any surprise bills through for renovation work for the rest of the property,” says Jane. When buying an ex-council house it is important to look at the pros and cons, check that it is in an area that you want to live and that you don’t mind sharing your street with council residents. But if the area meets your needs and you are confident that you will be able to sell the property there should be nothing holding you back. We have lived in our 3 bedroom local authority home for almost 40 years,and intended to continue to rent. But over the years we have seen a decline in the care our local authority take with their houses, the rents are also rising fast. We sat down done our sums and decided that purchasing our semi detached double brick with cavity wall insulation home,with a huge garden was a great decision. Most of the homes in our area have been purchased. We are seeing a benefit already. Standards have improved people are caring more about our area, gardens and homes are being well looked after. Sadly the Scottish Government have decided to take away the right to buy effective from the 30July 2016. Government policies such as the bedroom tax,and sanctions have demoralised many people causing, depression, hopelessness and despair,If people are not respected then they lose hope and the will to try. I was saddened by the awful comments made against social housing tenants, most are hard working, clean law abiding people with a strong sense of community. Instead of running them down and stereotyping them, try having a smidgen of empathy for the plight of the poor. Never look down your nose at anyone worse of than yourself, most people are only a wage packet away from homelessness, you better pray it's not you.